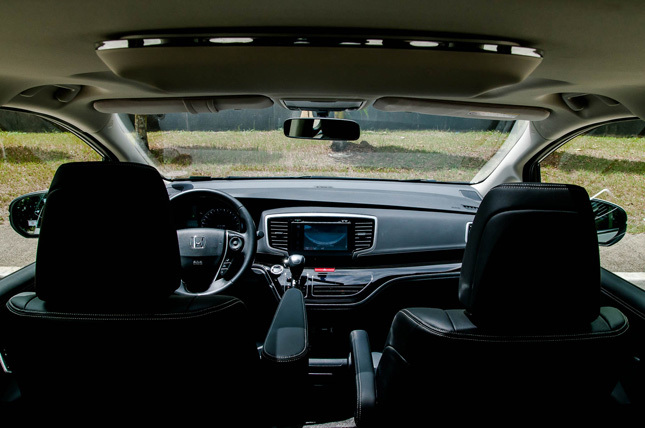 Spending seven days with the Honda Odyssey EX-V Navi 2018 has given me a newfound appreciation for the kind of vehicle space that a father can provide for his family. 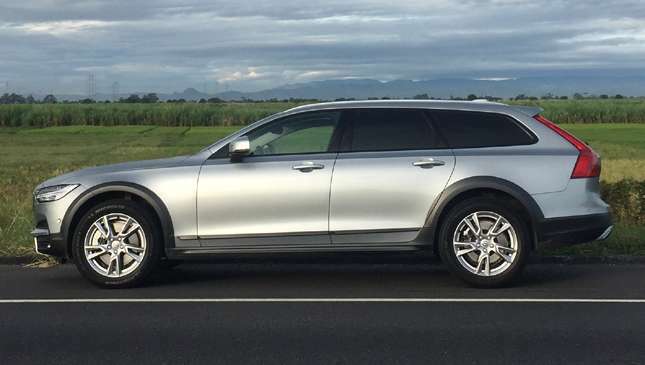 Although we are happy and content with a four-door sedan, the occasional trips with extended family members can prove to be quite the challenge. Senior members of the family enjoy more space and restful seating positions, and the kids of course, would love to move around in whatever free space they’re offered. 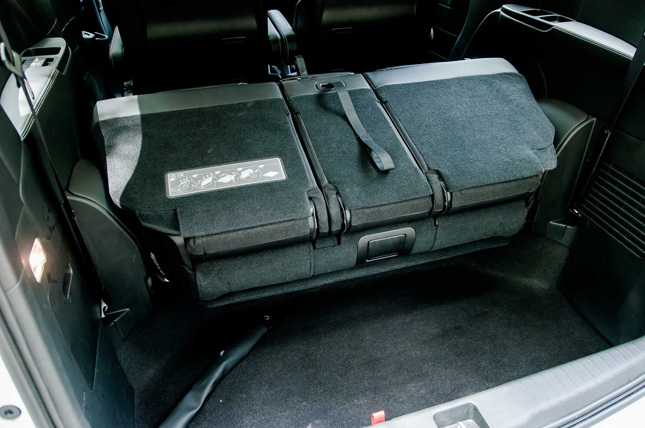 Having grown up with memories of long road trips in the back of a 2+2 Mitsubishi Celeste, I admit that the times really have changed, and that Filipino families these days demand and deserve more interior space, all the while considering the most minimal of external dimensions from their vehicles of choice. 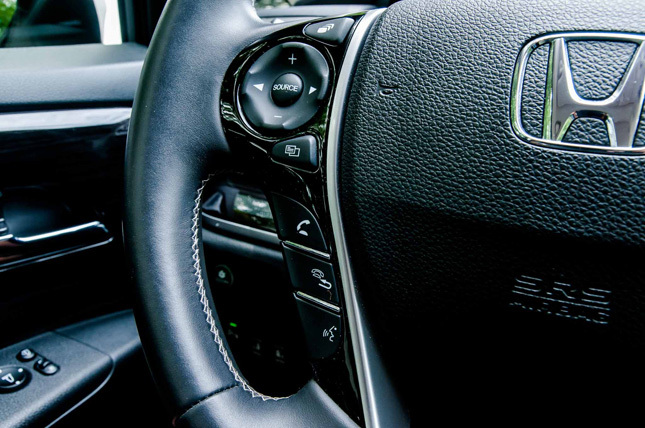 The Odyssey is unmistakably Honda in the looks department, with the sharp edged lines that reflect the company’s current design direction. As this is the international version, it looks a lot different from the US-only Odyssey, which is bigger and wider. Our version looks much better, in my opinion, as the size is better suited to our streets, and we don’t have to suffer from looking at that dreadful kink in the shoulder line of the US version. Updates for 2018 include Dark Chrome grille slats, LED lamps up front, chrome-trimmed bumpers and new 17-inch alloys. 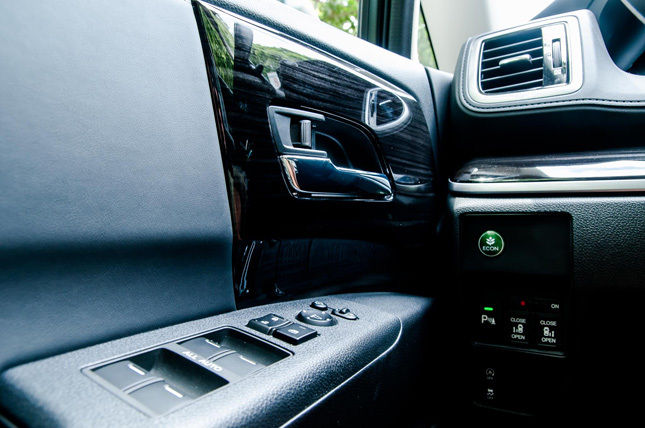 The interior is all about occupant comfort, and the Odyssey EX-V Navi’s is swathed in luxurious black leather and piano black plastic accents. The first things you’ll notice of course are the captain’s seats, which immediately give off that VIP vibe. The pair has a multitude of adjustment possibilities, including sliding laterally for increased side space. 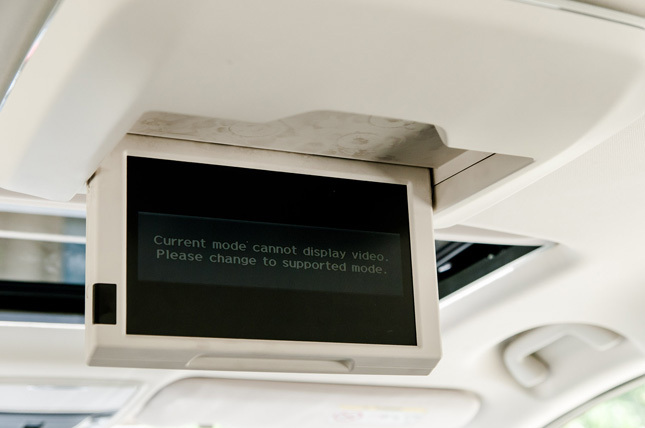 Each captain’s seat comes with a pair of armrests and footrests, and is the perfect spot to view movies through the fold-away, ceiling-mounted rear entertainment system. 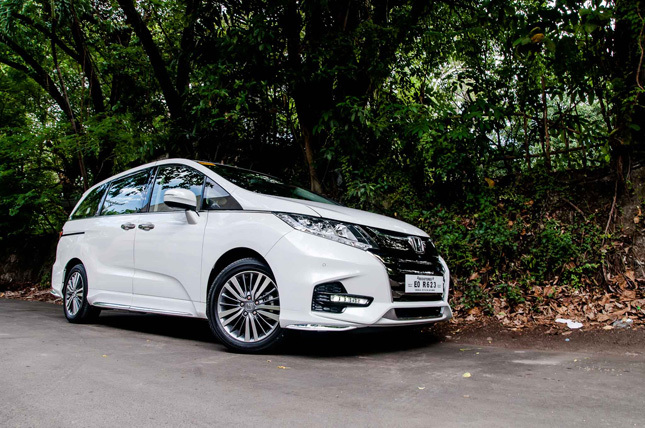 The front row gives a perfect view of the road, and gives both the driver and front passenger unimpeded access to the center cluster, which houses the entertainment system, and environmental controls. 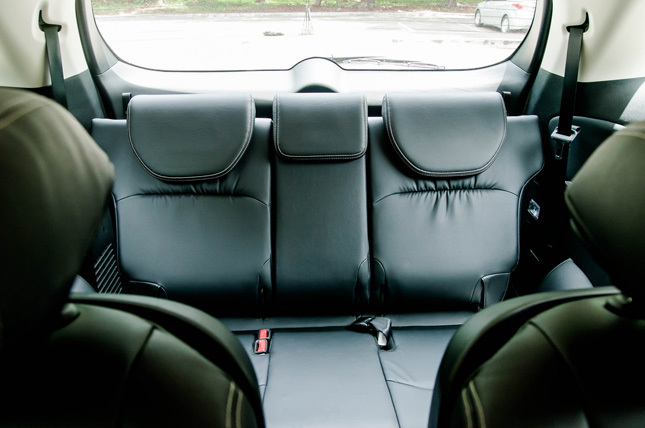 Comfort for the front row comes in the form of good, supple leather seats and armrests. There are integrated sun shades on the power side doors for the second row occupants, and USB charging ports for the third row; seats that are part of an interestingly engineered module that folds and flips around to turn into a flat floor for increased cargo space. 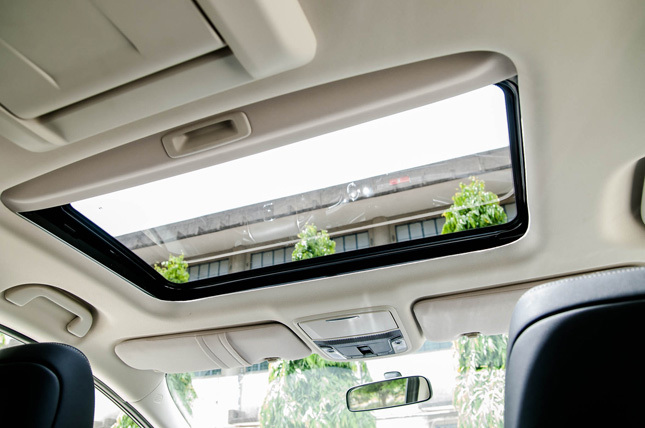 All in all, the Odyssey’s interior screams of luxury and comfort, and any family is sure to enjoy this space. 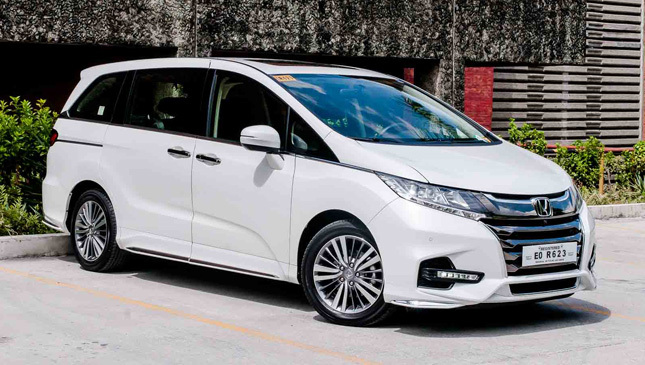 Both variants of the 2018 Odyssey are powered by Honda’s Earth Dreams 2.4-liter, DOHC i-VTEC four pot, which puts out 173hp at 6,200rpm and 226Nm of twist at 4,000rpm. 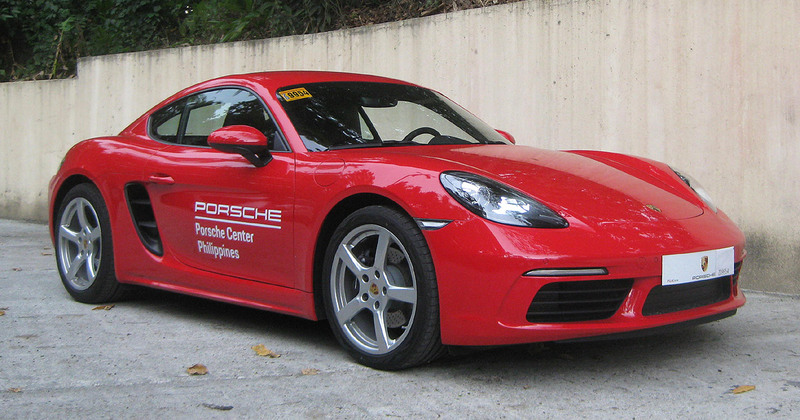 On paper the engine should be a dream to drive, with enough power to handle almost anything that Philippine roads could throw at it, and with more than enough technology to do it economically. In reality, though, the engine and CVT combo are a bit of a letdown. The powertrain seems to have a hard time lugging around the weight of the vehicle, with the engine screaming in a very un-Honda way. This makes for very awkward overtaking, even in Sport mode. Another catch would be the disappointing fuel consumption figures that I got from a mix of urban and highway driving. Even in Eco mode, with the Idle Stop system on, and with conscious pedal pushing on a trip to Bataan, the handsome little people mover just managed a disappointing 6.9km/l average. 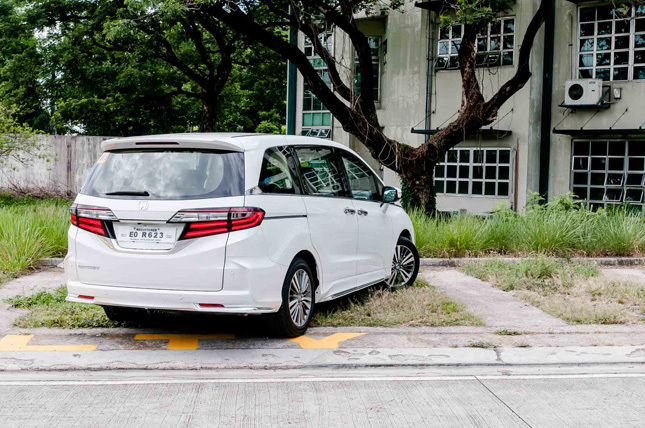 For a vehicle this size, the Odyssey performs quite well in the ride and handling department. The MacPherson front and torsion beam rear suspension do a great job of providing exceptional ride comfort and road hugging capabilities. There is some firmness at slow speeds (plus Manila roads are really awful), but the Odyssey handles everything with aplomb. 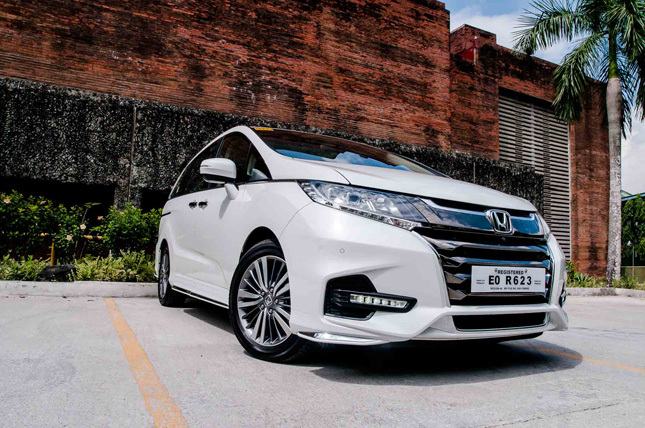 Its low ground clearance may not be a plus during the rainy season, but what it lacks in flood-fording capability it makes up for with exceptional ingress and egress angles. 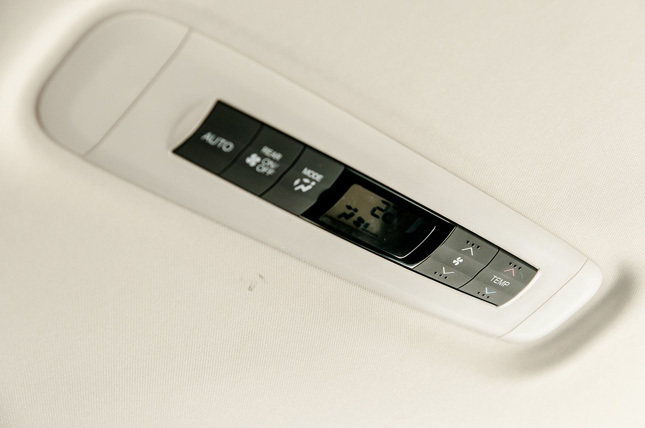 The low, flat floor and wide openings make it a breeze for more elderly family members to enter and exit the vehicle, adding to the increased sense of comfort that the Odyssey gives. 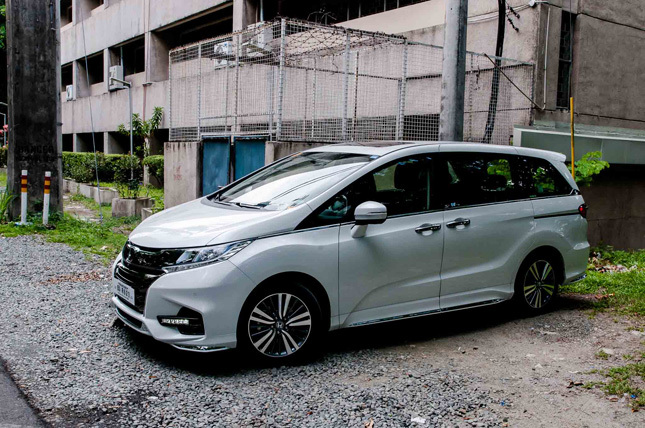 This minivan gives off such a great sense of space inside, while still feeling like it’s small and nimble enough to navigate tight Manila roads. 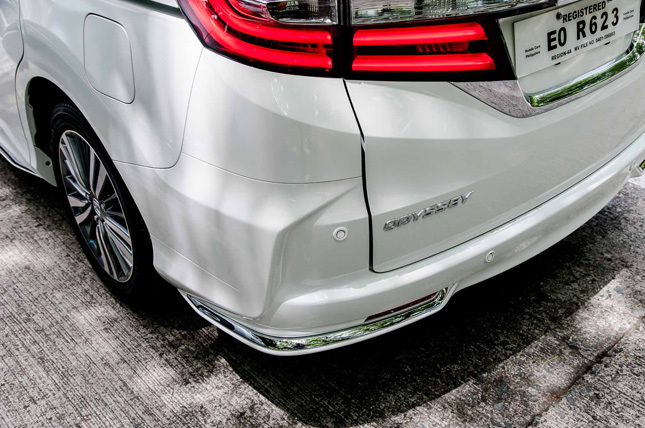 For the coin that one will shell out for this luxurious minivan, the Odyssey excels at giving owners smart features that make it a joy to own. 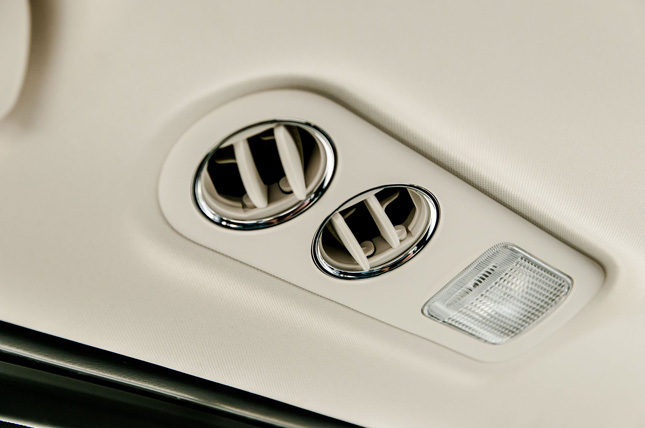 With safety in mind, it offers passengers a full array of airbags, including front to back side curtain ones. 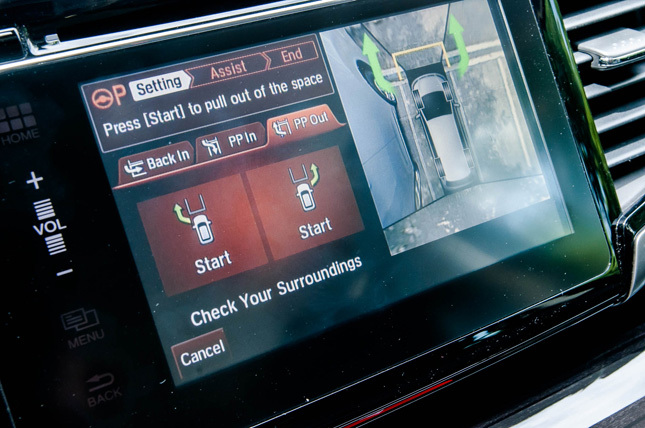 It offers drivers a slew of driving aids, from ABS and EBD to Vehicle Stability Assist and Hill Start Assist. 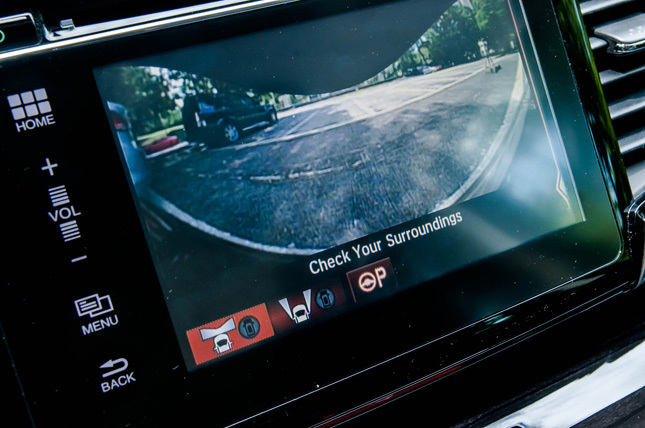 There’s even a sensor-based Smart Parking Assist system, which works in conjunction with the 4 wide-angle cameras to give the driver full confidence to navigate tight parking quarters. 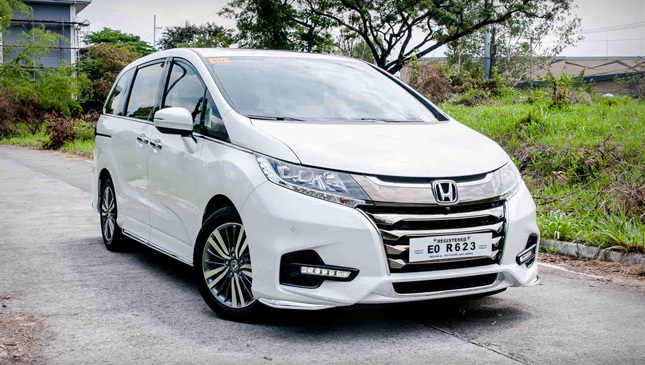 For P2,433,000, the Honda Odyssey EX-V Navi will give you and your family the luxury and comfort you deserve. 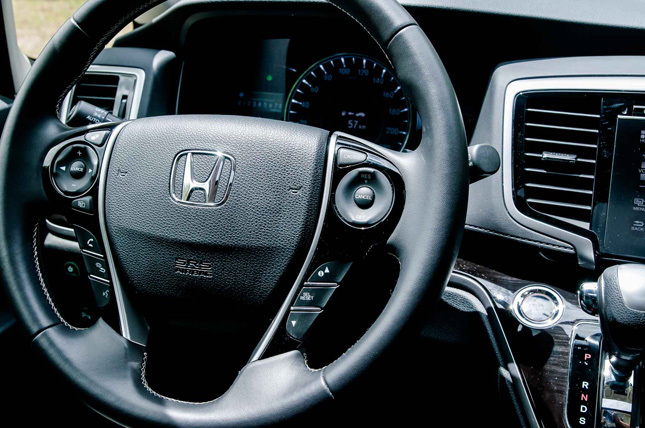 The all-leather interior is great for just sinking in and letting the day’s stress waft away, while all the smart creature comforts allow you and your family to live in full convenience. The engine and transmission are a disappointing pair, though, struggling enough in both power and economy to give you second thoughts. The low floor and ground clearance provide for great entrance and exit comfort, but aren’t very welcome during the rainy days. The vehicle also sits low enough for curbside door dings to become a real problem. 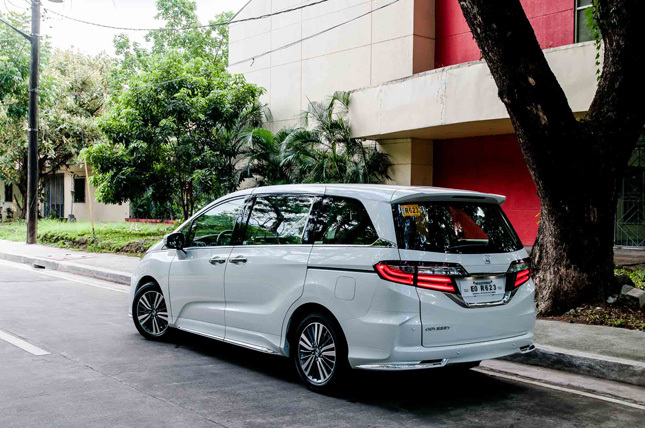 If your priority is to transport yourself and your family in comfort and luxury, then you can’t go wrong with the Odyssey EX-V Navi at this price point. 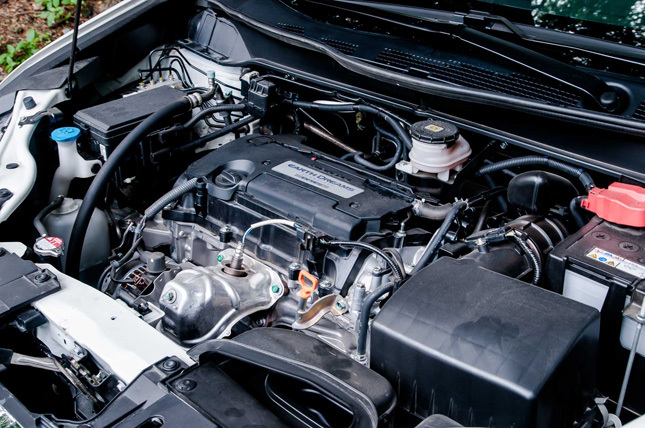 But if economy is a main factor in your purchase decision, carefully consider the lackluster engine and transmission performance.